Catherine Sagurton, who died on November 8, 2015, was the mother of Patricia S. Machir ’70, Claire S. McGuire ’71 and Maureen S. Clancey ’73. Mrs. Sagurton was also the aunt of Margaret Dooley ’92. Ann Doherty Marchev ’50, who died in September 2015, was the aunt of Maureen Marchev Piazza ’74. David Dolan, who died on October 29, 2015, was the brother of Anne Lofredo, Oak Knoll faculty member. Mr. Dolan was also uncle of Alexandra Lofredo ’03. Kathryn Oram ’12, of Mendham, competed in a world rowing championship this past summer in Plovdiv, Bulgaria. Ms. Oram, currently a senior at Bucknell University in Lewisburg, Pennsylvania, competed in the U-23 World Championships in July. Ms. Oram, and her teammate Jennifer Sager, placed 14th overall. Congratulations to Kathryn for her efforts representing the United States! 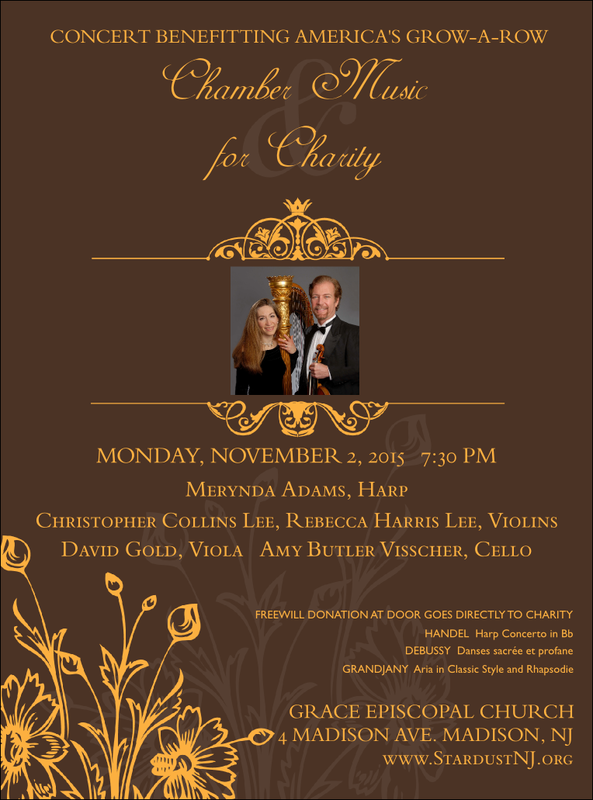 Merynda Adams, a member of the class of 1984, will be playing the harp at a concert on Nov. 2, 2015 at Grace Episcopal Church in Madison. Donations from the concert benefit America’s Grow-A-Row, an organization which grows and provides fresh fruits and vegetables to those in need. Oak Knoll School of the Holy Child alumna Kali Coleman ’14, who now attends Stanford University, has launched the Stanford Traveler, an online-based newspaper. Ms. Coleman also serves as chief editor for the publication through which she and her classmates wax poetic on their travels to such destinations as New Orleans, the temples of Bhutan, Costa Rica and Madrid. Click here to read some of the exiting travel stories at the Stanford Traveler. Gertrude C. Emmerich, who died on August 27, 2015, was the mother of Barbara Romano, former lower school teacher and educational consultant. Mrs. Emmerich was also grandmother of Gina Romano ‘8l, Mia Romano-Brown ’85, Cristina Romano Amatucci ’86 and Richard Romano of the Lower School. Mrs. Emmerich was also great grandmother of Jacqueline Romano ’13, Brianna Brown ’17, Aleena Brown ’19 and Richard Romano III of the Lower School.